One of the things about chocolate is that it is easy to pick up a chocolate bar, whereas to prepare vegetables or fruit takes time. 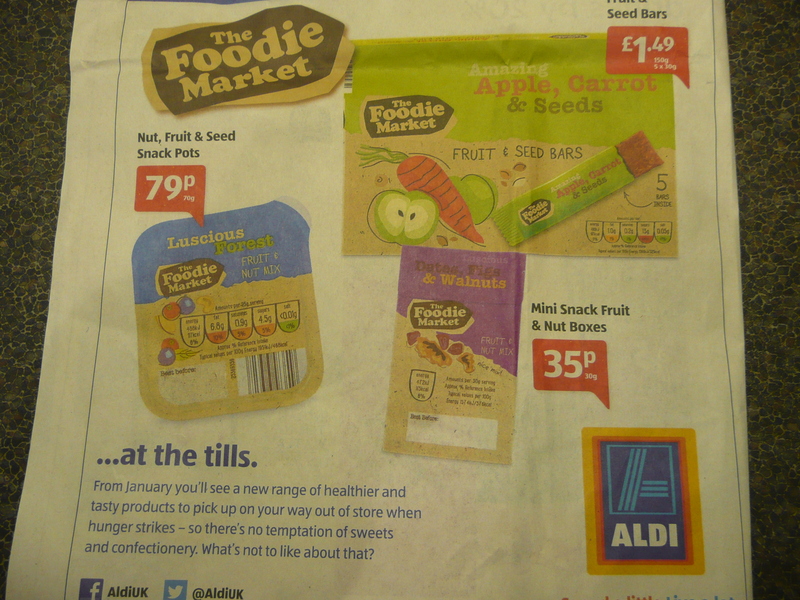 So I was delighted to see that a lot of supermarkets had taken the approach to promote healthy snacks and I found some great ones at Aldi in ‘The Foodie Market’ range and all at very reasonable prices. So if you need something quick and easy they make a great snack to add to your healthy eating plan. If you happen to be following my Weight Away Plans you can use any of these as a daily snack.